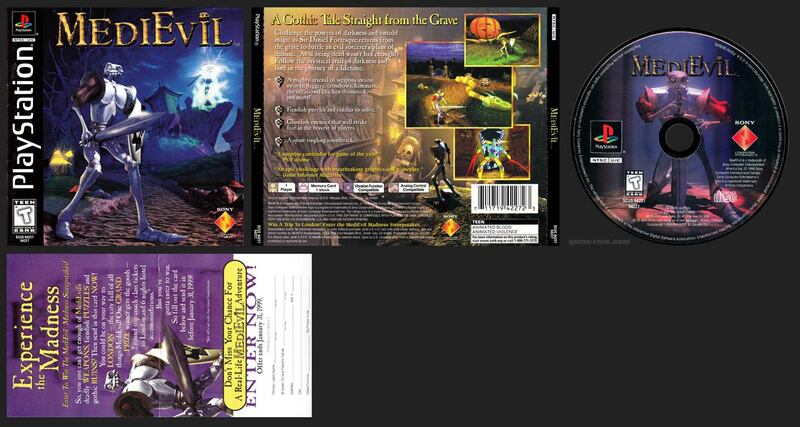 Challenge the powers of darkness and untold magic as Sir Daniel Fortesque returns from the grave to battle an evil sorcerer’s plans of demise. (As if being dead wasn’t bad enough!) Follow the mystical trail of darkness and land in the journey of a lifetime. A mighty arsenal of weapons awaits: Swords, daggers, crossbows, hammers, the occasional chicken drumstick and more! 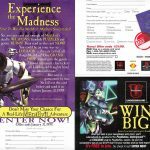 Fiendish puzzles and riddles to solve. Ghoulish enemies that will strike fear in the bravest of players. 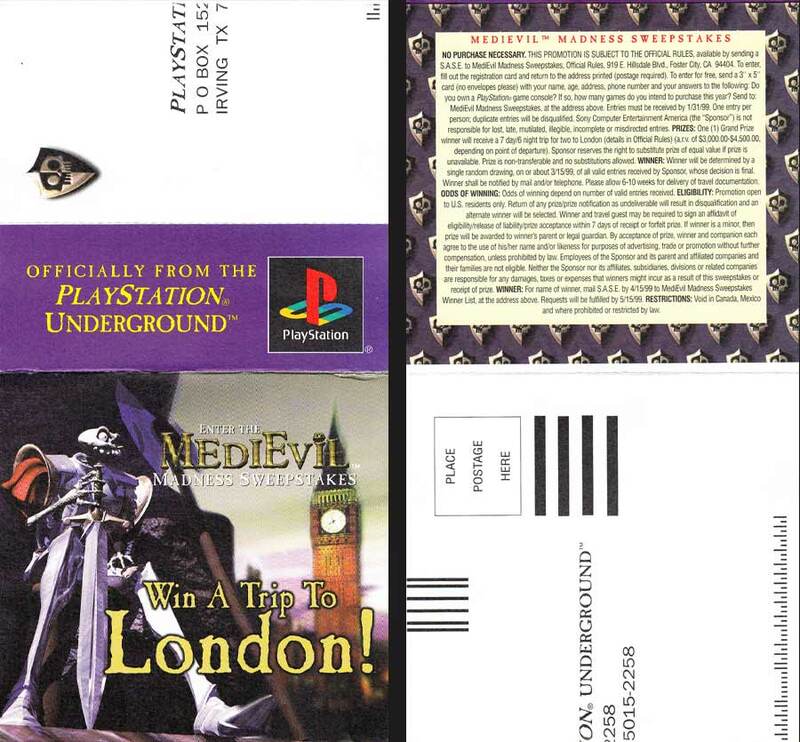 Medievil was released as a Sweepstakes version that included a double-sided, multi-fold entry postcard. Both sides – split in half – are pictured below. 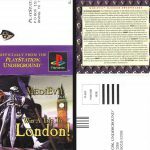 There doesn’t appear to have been a regular version of Medievil released. 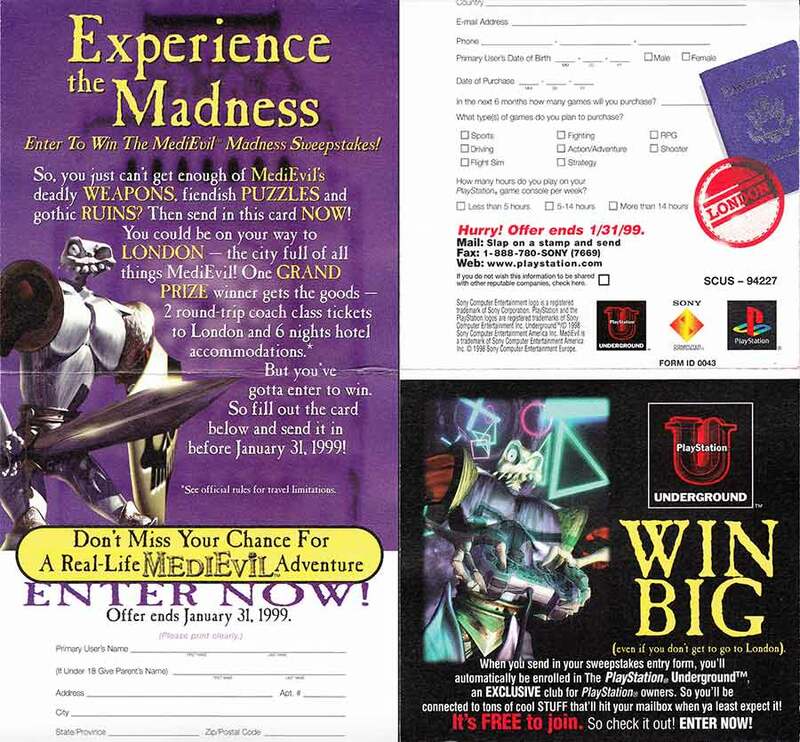 There is only the original sweepstakes edition.